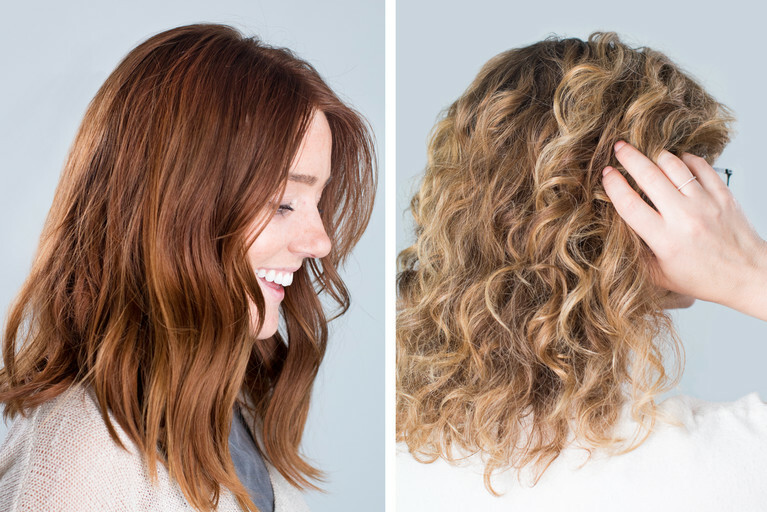 Our summer hair color trends are in for 2018 with sunny blondes and strawberry copper shades. Check out what each hue looks like, with tips on how to get it and keep it. As the weather continues to get warmer, summer hair color trends make the transition into light and bright. With all the time spent outdoors in summer, our strands tend to lighten naturally in the sun. Our favorite shades for this season are sunny blonde and strawberry copper—two lusciously rich and soft shades that look effortless and lived in for that care-free summer spirit. Now it’s time to show you how to get these shades and make them last. 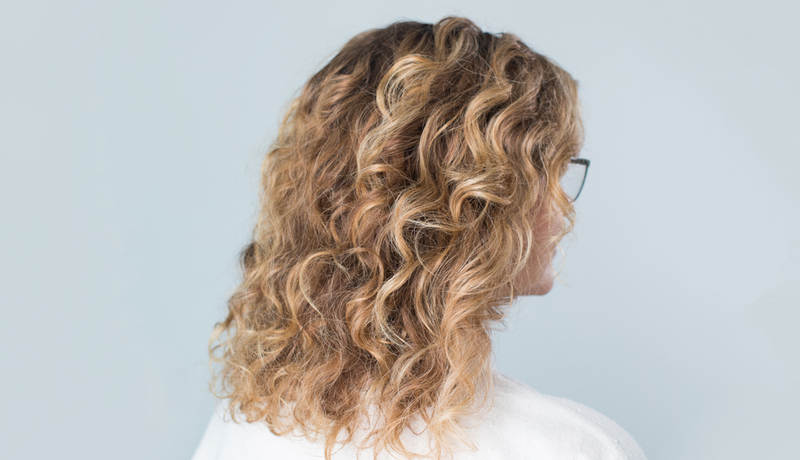 We love a sunny blonde shade that allows your regrowth a little slack in between applications with deeper roots and lightened ends, so you can concentrate on picnics and beach days. This look is carefree and sparkles in the sun with every hair flip. Instead of cooler blonde tones this summer, we’re focusing on warmth here that reminds us literally of the sun. Think of a little kid, running through the sand on a summer’s day with a glint of sunshine in their hair. With a warmer blonde, you can carry your favorite parts of summer with you wherever you go. This custom color definitely gives you a multidimensional finish that captures those moments, even if you spend most of your time in the shade. If you’re a light-blonde to light-brunette shade and are thinking about adding shine to your hair, this color has a two-part application (one shade for roots and one for ends) where the results are worth the wait. Changing your hair color is different for everyone and starts with your current shade. The darker your hair, the more of a transition you’ll need to plan for in the lightening stage—your colorist will let you know what to expect. Sunny blonde is a beautiful, multidimensional shade for summer that can give warm-toned folks a little extra glow, as a primer for fall. 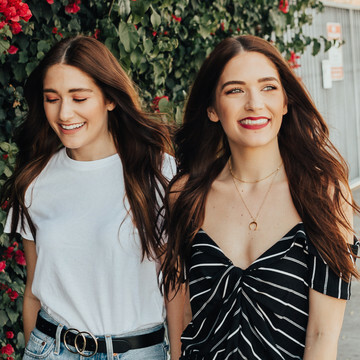 Ask your colorist to first adjust your color slightly deeper at the roots—a ¾ shade adjustment here will do the trick—and then to lighten your mid-length to ends by one level for depth. Afterward, to add a bit of light to your look (for a sparkle that comes naturally to blonde) paint on some highlights with our home balayage set. Painting in freehand highlights gives your hair a natural-looking glow that’s easy to maintain with a pattern that’s all you without changing your base color. The sun will also add in some highlights of its own the more you’re out and about. Paired with slightly deeper roots, these highlights will give you a beautifully progressive color without looking overly highlighted. To maintain this warm, sunny blonde without the brass, but plenty of sass, use our Tint Rinse in Blonde Neutralizer. This shade has a hint of copper, but a softness due to the cool ash tones. Think reddish-brown with a shimmery cast reducing the brightness for that smooth kiss of sun. 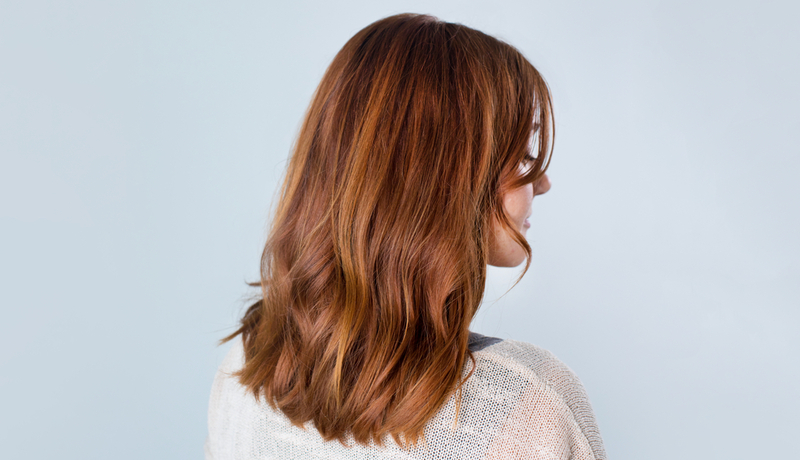 If you’re looking for a brighter strawberry copper shade in medium to light-blonde, this color is versatile and easily lightened with highlights. Adding copper to medium and dark brown hair color gives a milk chocolatey richness that enhances what’s already yours. If you’re a medium-brown to medium-blonde and would like to add a hint of copper to your color, this look is the transition shade to lighten up or tone down from now until winter. We love to play with color in an unexpected way using these combinations of warm and cool tones. Copper doesn’t have to be extremely bright, but there is a softer, less intense version that can also call attention to the uniqueness of your hue. This color lets you dip your toe into a fresh shade of red and take it for a test drive, just in case you want to amp it up later. Strawberry copper has an icy depth to it that is anything but flat. These copper tones allow for a subtle vibrancy, while ash blends the allover shade, giving this red a natural appearance. To add a bit of summer flair, we also recommend our salon-worthy highlighting kit, Light Set for this color at the tips of the hair and framing the face. Less is definitely more with this look. Ask your colorist to add coppery tones into your color to warm it up, but also a hint of ash to cool it down for a much softer finish. Coppers and reds are our most popular shades, so we’re always looking for variations to keep them fresh and seasonal. Because any color in the red family requires a bit more upkeep, washing your hair only a couple of times a week can totally save your color. We recommend cycling in Tint Rinse in Mahogany Copper or Warm Beige to add warmth to your hue and maintain that vibrancy that’s signature of coppers and reds. Every summer hue we’ve mentioned here is easy to maintain and works well into the next season. 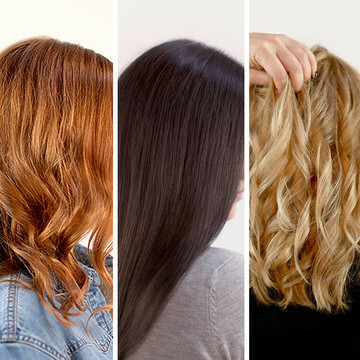 The great thing about changing your hair color for sunnier days is that there are so many ways to do it, with twists on any shade or base you currently have. Unsure which color will suit you best? Your eSalon colorist can help you decide on a fresh hue that’s just for you, ripe for summer. Everyone has a chance to live colorfully, and here’s yours.